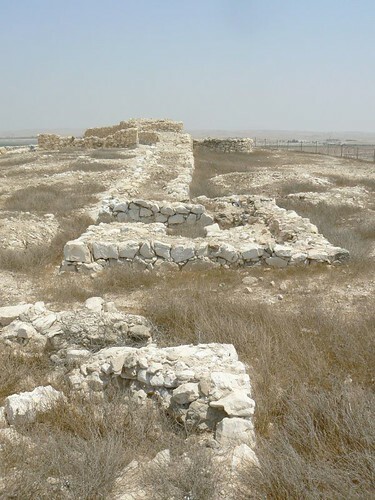 Arad, a Canaanite city southwest of the Dead Sea, is mentioned in the Bible as one of the cities located in the eastern Negev whose inhabitants prevented the Israelites from entering the “Promised Land”: “When the Canaanite, the king of Arad, who dwelt in the Negeb, heard that Israel was coming by the way of Atharim, he fought against Israel, and took some of them captive” (Numbers 21:1). 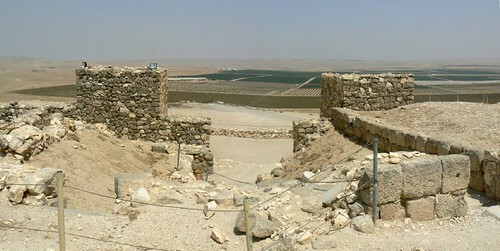 The King of Arad appears in the list of Canaanite kings vanquished by Joshua Bin-Nun during the conquest of the Land of Israel (Joshua 12:14). 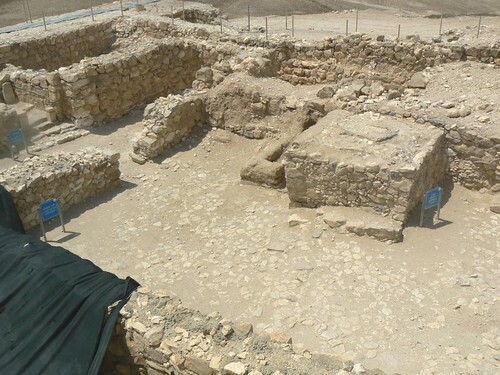 An account is also given of the Kenite tribe which settled in Arad, as is stated: “And the descendants of the Kenite, Moses’ father-in-law, went up with the people of Judah from the city of palms into the wilderness of Judah, which lies in the Negeb near Arad” (Judges 1:16). In an inscription uncovered in the city of Karnak, Egypt, Arad appears in a list of cities subjugated by Pharaoh Shishak, king of Egypt, in the year 925 B.C. 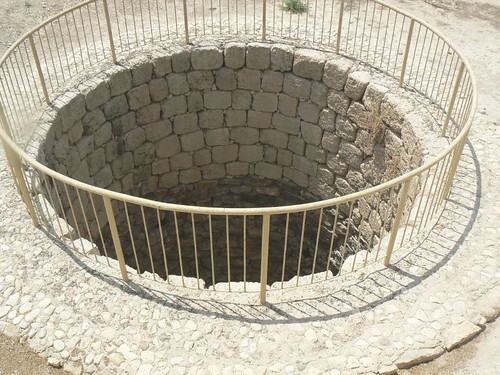 The locales ancient name – “Tel Arad” – has been preserved among the Arabs to this day. 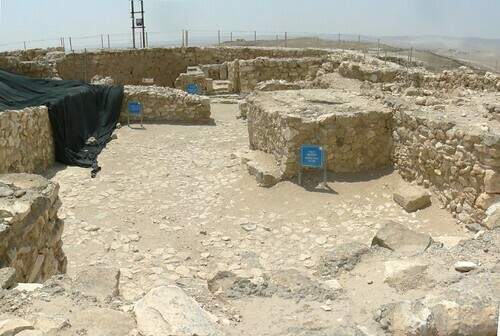 The area was first settled during the Chalcolithic period, around 4000 B.C.. Excavations at the site have unearthed an extensive Bronze Age Canaanite settlement which was in use until approximately 2650 B.C.. 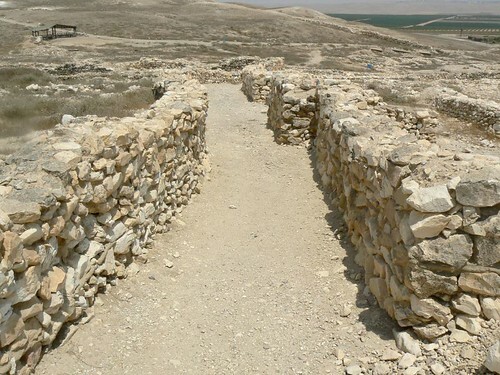 The site was then apparently deserted for over 1500 years until resettled in the Israelite period from the 11th century B.C. onwards, initially as an unwalled village, and then as a garrison-town. 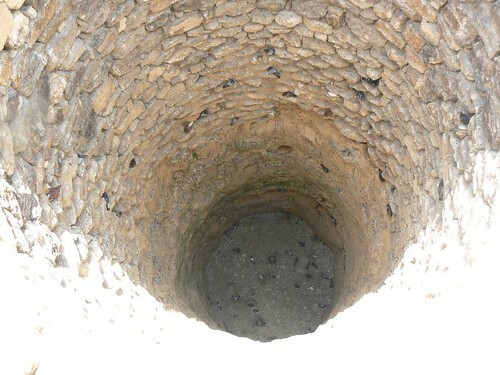 The well was constructed towards the end of the time of the Judean Kingdom, to a depth of 52 feet. 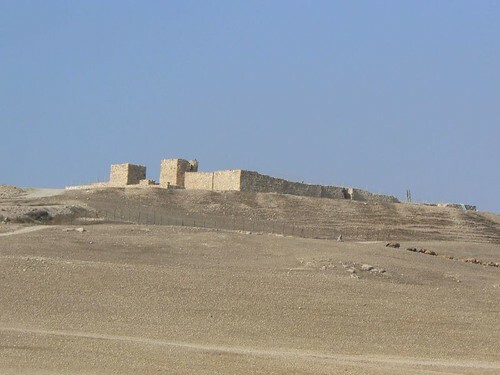 With its important strategic position on the south-east desert flank of the kingdom of Judah, the fortress was sacked and rebuilt a number of times, until ultimately destroyed by the Edomites in 597 BCE whilst Jerusalem was under siege from the Babylonian Nebuchadnezzar. Among the most fascinating artifacts unearthed from this time are ostraca that mention the House of Yahweh. A shrine with a squre altar was built in the fortress. The shrine includes an inner courtyard, sanctuary and the Holy of Holies. 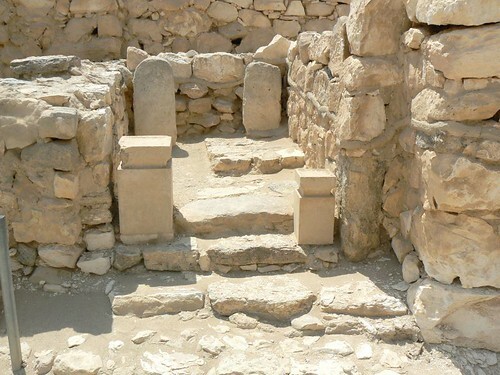 A monument was found inside the Holy of Holies,whose entrance is flanked by two incense altars.